Menopause, or “the change of life,” is a normal and natural part of a woman’s aging process. It is the time when a woman’s menstrual cycle and reproductive period ends, usually in her 40s or 50s. Menopause is caused by a decline in the hormones estrogen and progesterone, which control menstruation and ovulation (release of an egg from the ovary each month). Women under 40 may experience early menopause due to hysterectomy (surgery to remove the uterus) or damage to the ovaries caused by chemotherapy and radiation therapy. 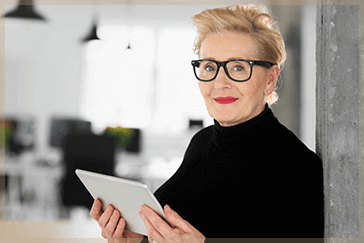 After menopause has run its course, women may be at an increased risk of certain medical conditions like cardiovascular disease, osteoporosis, and incontinence, which is why menopause management is so important. As women, our compassionate and caring physicians understand your symptoms and the importance of your comfort. The experienced female doctors at Mission Obstetrics and Gynecology can recommend ways to help ease the symptoms that bother you, including hormone replacement therapy (HRT) and alternative therapies. Call (586) 574-1313 to schedule your appointment today, or you can request one online.